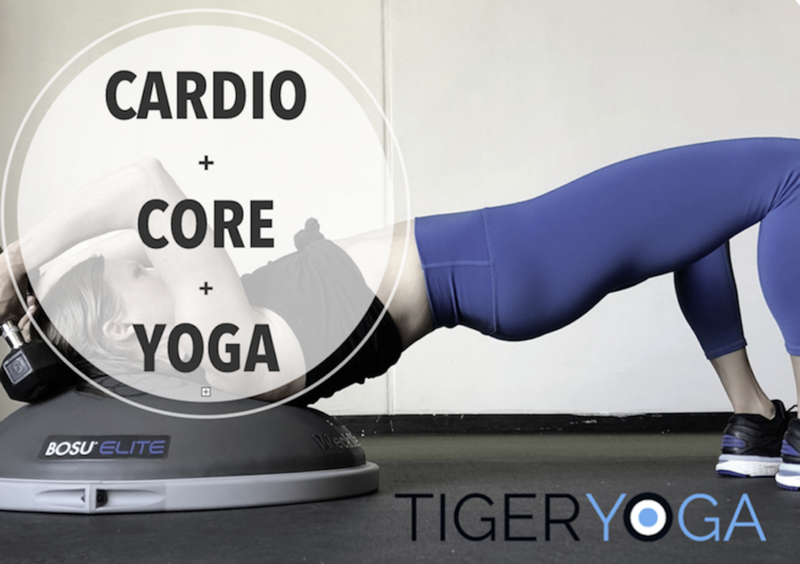 A group training session where you you can burn fat, tone up core, and get all the benefits of yoga, in 1 workout. Every workout is different to keep your body and mind fresh. Each session we focus on different body parts to fight plateaus and reduce overuse injuries. Combining intense bursts of cardio with deep core work will not only enhance your performance, it will also increase your metabolic rate and maximize your results. We use Echo Bikes which are overbuilt to create a comfortable ride that eliminates joint impact and allows you to push harder. Your workout has been designed by fitness trainers with high levels of education, the most elite certifications, exercise science backgrounds and years of hands on experience. Every exercise has been strategically choreographed to help you get the results you want. Incorporating yoga postures and foam rolling into your workout allows you to maximize your results by preventing overuse injuries. The recovery portion of your workout will continue to contribute to muscle toning and strength, but will also improve your posture, flexibility and overall wellness. CONTACT US DIRECTLY WITH QUESTIONS OR REGISTER HERE ONLINE.